Ex-fugitive Tommy Thompson has agreed in a plea deal to turn over $425,380 seized in his case to U.S. District Court. The agreement, obtained by The Dispatch yesterday, was filed on Thursday as part of a criminal contempt-of-court case against the former treasure hunter. The document says that Thompson will plead guilty to one count of criminal contempt. It also says that he will help the parties to a 2006 federal lawsuit against his shipwreck-search companies to identify and recover assets and that he will answer questions under oath about those assets, including 500 commemorative gold coins. The coins were minted from gold bars Thompson brought up from the SS Central America shipwreck and were valued in 2007 at $1 million to $2.5 million. Thompson also agrees in the document to answer questions and provide information to investigators, including identifying anyone who helped him while he was a fugitive. It also says that Thompson “claims to suffer from a rare medical condition that requires specialized treatment” and that the government agrees that Thompson’s medical condition will be a focus of the presentence investigation. Thompson and his girlfriend, Alison Antekeier, were ordered in 2012 to appear before Judge Edmund A. Sargus in Columbus as part of the federal lawsuit over the treasure brought up from the shipwreck off the East Coast in the late 1980s. Instead, the pair fled, and contempt charges were filed against them. They were returned to Columbus after they were arrested by U.S. marshals in southern Florida in January. . . . The skeleton of a victim from one of Australia’s most famous shipwrecks has been unearthed by archaeologists. The remains on Beacon Island, off Western Australia, date from the wreck of the Dutch East India ship the Batavia in 1629. In the aftermath of the disaster, more than 100 survivors were murdered by a group of mutineers. Maritime experts hope the latest find will shed new light on the episode. The wreck site was first discovered in 1963 and a mass grave was found in 1999. 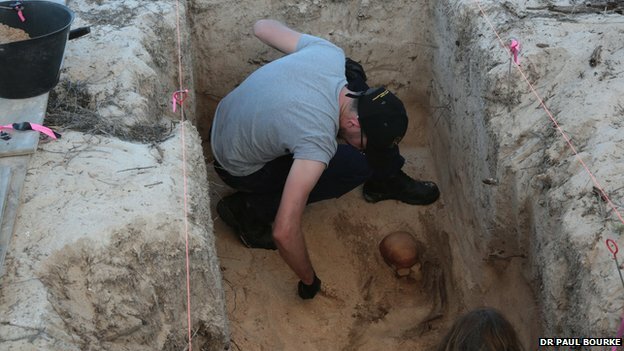 But Dr Daniel Franklin, of The University of Western Australia Centre for Forensic Science, said this was the first skeleton to be found undisturbed on Beacon Island through archaeological investigations. He said it “represents a unique opportunity to reconstruct events surrounding this individual’s death and internment”. 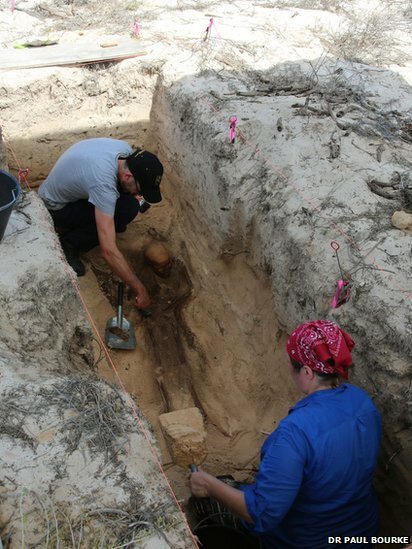 Jeremy Green, head of maritime archaeology at the Western Australian Museum, said they hoped to learn more about about the life of sailors on board Dutch East India Company ships. “It is as much about knowing where the people came from, what their diet was, as well as how they died,” he said. The skeleton is of an adolescent and two musket balls were reported to have been found nearby. The Batavia had sailed from the Netherlands to the Dutch East Indies but veered off course and was shipwrecked in the Abrolhos Islands. . . . .